Canada is countering the United States' move to slap punishing tariffs on steel and aluminum imports by imposing dollar-for-dollar tariffs of its own on everything from steel products to maple syrup. 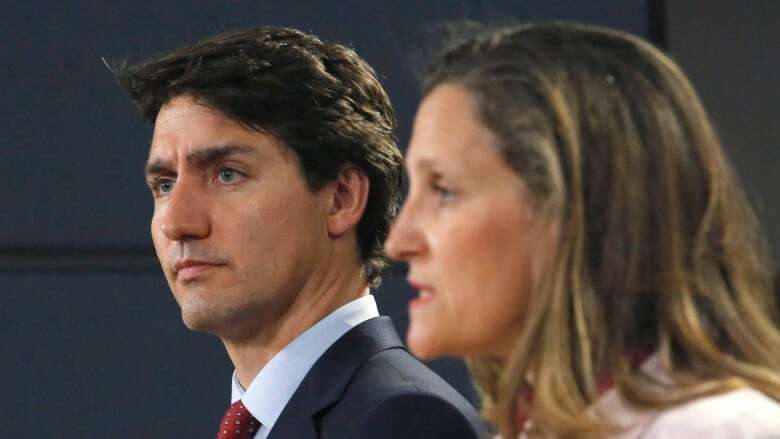 Foreign Affairs Minister Chrystia Freeland said Canada is hitting back with duties of up to $16.6 billion on some steel and aluminum products and other goods from the U.S. — including beer kegs, whisky, toilet paper and "hair lacquers." She and Prime Minister Justin Trudeau made the announcement at a press conference hours after U.S. Secretary of Commerce Wilbur Ross confirmed the United States is following through on its threat to impose tariffs of 25 per cent on imported steel and 10 per cent on imported aluminum, citing national security interests. "This is the strongest trade action Canada has taken in the post-war era. This is a very strong response, it is a proportionate response, it is perfectly reciprocal," Freeland told reporters. "This is a very strong Canadian action in response to a very bad U.S. decision." The government is soliciting public comments on its plans until June 15. The new Canadian tariffs would kick in July 1. Trudeau called the Trump administration's national security argument "inconceivable" and called the tariffs "an affront to the Canadians who died" alongside Americans in battle. "We will continue to make arguments based on logic and common sense and hope that eventually they will prevail against an administration that doesn't always align itself around those principles," said Trudeau. Before today's announcement of Canada's countermeasures, a senior government source with direct knowledge of the talks said the cabinet committee on Canada-U.S. affairs met Thursday morning to discuss an appropriate response, describing its efforts as "finding a sweet spot." The source said the challenge was to come up with a response that makes sense and allows Canada to be a "credible country." Exports to the United States represent about 45 per cent of Canadian steel production, according to the Canadian Steel Producers Association. Steel is produced in five provinces, but the industry is heavily concentrated in Ontario. U.S. President Donald Trump had granted exemptions on the tariffs to his North American Free Trade Agreement allies and the European Union, but those were set to expire June 1. 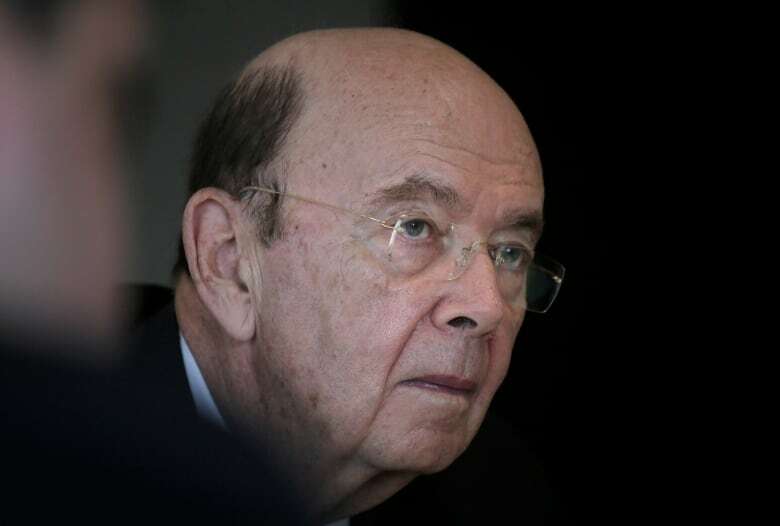 During a call with reporters Thursday morning, Ross said Canada's and Mexico's exemptions were linked to the progress of the NAFTA negotiations, which "are taking longer than we had hoped." Trudeau revealed Thursday that he had offered to go to Washington last week to work out NAFTA details with the president, indicating final negotiations were close — but backed out when he got a call from Vice-President Mike Pence telling him that a meeting could only happen if Canada accepted a controversial sunset clause. The clause would force all three NAFTA countries to proactively agree — every five years — that they will remain in the trade pact. If they failed to agree, the deal would be killed automatically. Trudeau called Pence's offer "totally unacceptable." Mexico responded swiftly with tariffs of its own on U.S. exports of pork bellies, grapes, apples and flat steel, the Associated Press reported. The EU also announced it would launch a dispute settlement case at the WTO and impose "rebalancing measures." "Today is a bad day for world trade. We did everything to avoid this outcome," said EU Commissioner for Trade Cecilia Malmström. "The U.S. has sought to use the threat of trade restrictions as leverage to obtain concessions from the EU. This is not the way we do business." Ross tried to deflect suggestions the tariffs would damage ongoing NAFTA talks and the upcoming G7 meetings in Quebec. "If any of these parties does retaliate, that does not mean that there cannot be continuing negotiations," Ross said. "They're not mutually exclusive behaviours." But questions about the tariff announcements did loom over the start of the G7 finance ministers' meeting in Whistler, B.C. Thursday. Finance Minister Bill Morneau said the G7 representatives — among them, U.S. Secretary of the Treasury Steve Mnuchin — will strive to work together despite the Trump administration's decision. "When we face challenges, we can't get through them without talking," said Morneau. "We're not saying there won't be frictions. We're not saying that we won't have strong words. We're not saying we won't be able to send messages. We need to send messages saying that working together is better than working apart." Ross did leave some leeway, saying the U.S. could be flexible. "We continue to be quite willing, and indeed eager, to have further discussions," Ross said. Conservative Leader Andrew Scheer said the Trudeau Liberals missed an opportunity to write a tariff contingency plan into the last federal budget, but tempered his criticism by insisting that free trade only works when it is "reciprocal." "Conservatives believe in free trade but that free trade has to be reciprocal. It has to go both ways for our workers to benefit from it," he said. Canada's procurement minister cast doubt on the U.S.'s national security justification. "It is very difficult to fathom that there would be a security risk imposed by Canada on the United States," said Public Services and Procurement Minister Carla Qualtrough. She was in Ottawa attending Cansec, Canada's largest annual arms show. Can Morneau keep his G7 gathering from being entirely about Trump? How big an economic threat are Trump's steel and aluminum tariffs? She said the federal government has "contingency plans" in place to absorb the impact of U.S. tariffs on steel and aluminum on defence projects. Multi-billion-dollar programs to buy new fighter jets and warships are all heavily dependent on the price of steel. "We prepare for this kind of thing," said the Delta MP. "There is money set aside, whether it be for tariffs or for interest rate fluctuations, so we can proceed with our defence procurement should there be additional costs associated because of tariffs or other unexpected circumstances." On Wednesday, Trudeau called Ontario Premier Kathleen Wynne, Quebec Premier Philippe Couillard and Saskatchewan Premier Scott Moe, all in regions with large steel and aluminum sectors, to talk about the upcoming decision. 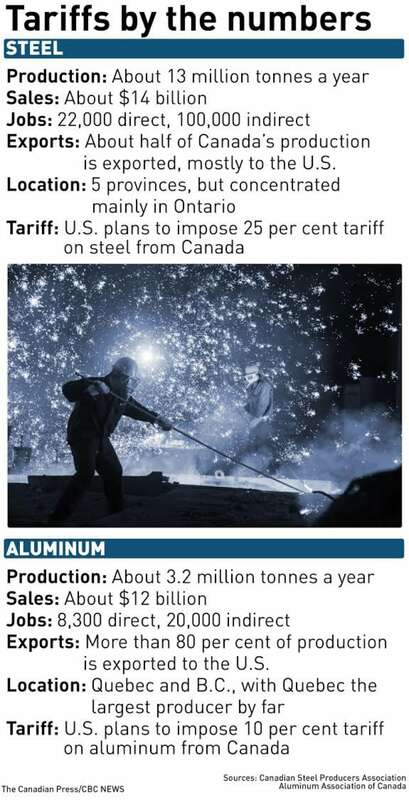 The Prime Minister's Office said they "all agreed to continue to defend the Canadian steel and aluminum industry from unwarranted tariffs and to stand up for the best interests of all Canadian workers and businesses." Wynne called Trump a "bully" and urged the federal government to push back. "We need to hit Trump where it hurts — in his wallet," the premier — currently fighting to keep her job in Ontario's provincial election — said Thursday. 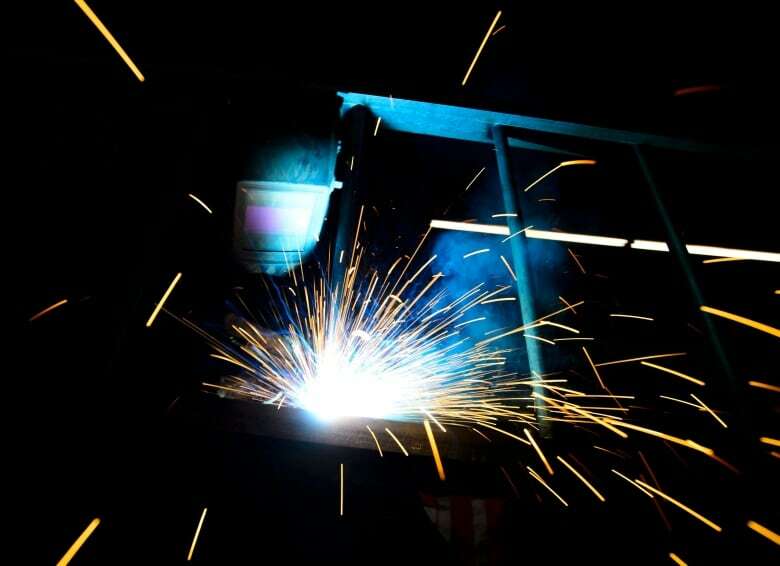 ​"This short-sighted decision is an attack on Ontario's steel industry and its workers. It is not the action of a friend, an ally or economic partner." She also called on her provincial political rivals to come together to speak with one voice. Couillard, whose province is the country's largest producer of aluminum, called the tariffs "illogical." "It's a bad decision for the Americans. They're increasing manufacturing and defence industry costs," he said in French. Canada's attempt to thwart the tariffs came in concert with its European allies, who were also trying to stop the U.S. Both Trudeau and French President Emmanuel Macron made their cases separately to the U.S administration, while other European officials met with their U.S. counterparts in Paris on Thursday.